Katherine: The one and only... sort of. Permalink: Katherine?? The one and only... sort of. 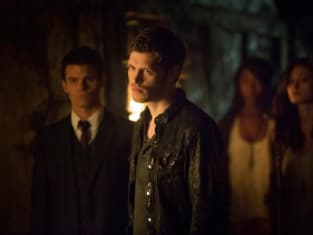 Klaus: What an entirely unwelcome surprise. Elijah: And what an entirely unsurprising welcome. The Vampire Diaries Round Table: "The Originals"
Joseph Morgan Talks The Originals, Klaus vs. Marcel, Potential for Klaroline and More!